Look for the instruction paper that comes with the PhotoPearls starter kit. Go to Q: Where do I find my Activation code? 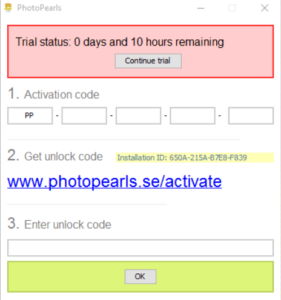 If you have previously activated your software and now lost the activation code. Check if you have mistyped your Activation code. Check if your installation-id match the installation-id in the Activation window.